Jonesboro Main Street Advisory Board! Join us on the First Friday of every month at Lee Street Park from 12:00 PM to 1:00 PM. 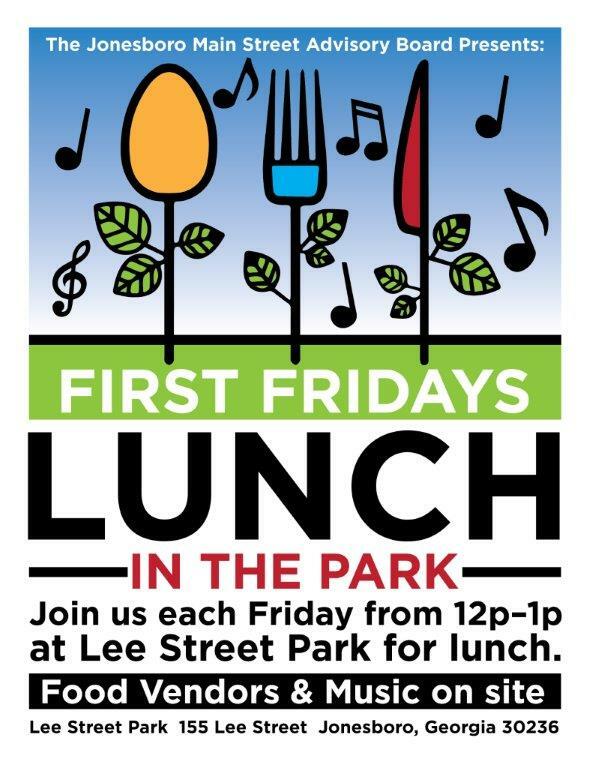 If you have packed your lunch, just grab it and head over to Lee Street Park! If you have not prepared your lunch, we will have food vendors on site.